Opaque buying can cut your costs substantially. But the trade-off is that you have to pay the full nonrefundable price before you know which hotel you’re booking. You get no refund if you are dissatisfied with your room (unless you can prove it was materially misrepresented). Yes, there are other risks, too, but you can minimize those if you know how to play the game. Although both Priceline and Hotwire are opaque, Priceline is the more opaque of the two. With Hotwire, you see the price, ratings, key amenities, and some indication of customer satisfaction from the get-go, but you don’t know which hotel you’re booking until after you buy. 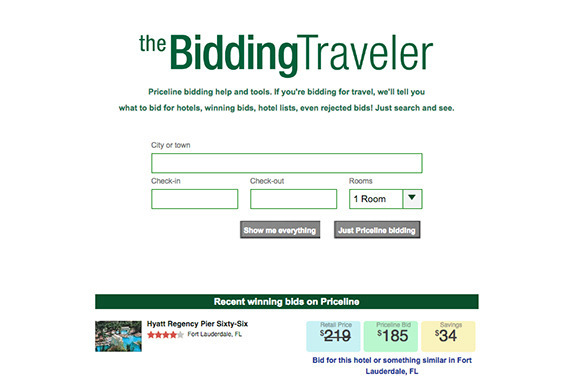 With Priceline, you “name your own price” by bidding on the basis of star ratings and general location. Beyond that, both systems work in about the same way: In a large city, you can narrow down your search to one or more specific areas. If you want a hotel room on the Las Vegas Strip, for example, you won’t find yourself on Fremont Street. Both sites promise a room that accommodates two adults. Both sites let you specify a star classification. Both deal with pre-tax prices, and both charge their own booking fees. Within that framework, you can easily work out a plan for buying opaque. Here are nine simple steps to getting a great price when you bid on hotels. Buying a room through Hotwire or Priceline entails some real risks of disappointment. Both agencies promise only a room that can accommodate two travelers. That could mean a room with a double bed. Although that might not happen often, it's something of a gamble when seeking a low-priced room outside the U.S. or Canada. And the location promise is just to a general area, not to a particularly upscale or quiet neighborhood. If you really need some special feature, such as free Wi-Fi, a pool, air-conditioning (a problem in a few areas), or an elevator (if you have a back problem), and you don't see it on Hotwire's posting, you should probably confine your search to hotels in the upper star categories, where unpleasant surprises are less likely to occur than at the budget end of the scale. And if your requirements are deal breakers, such as wheelchair access, you probably shouldn't use an opaque buying source at all. Although hotels treat guests who have opaque reservations with their usual service standards (as far as we can tell), don't expect miracles. You won't get the largest room or a room with the best view. If you're not happy with the bedding arrangement—say you got a single queen bed and would prefer twins—you can ask for a change but you can't demand a change. Even when you book opaque, your treatment will likely improve if you show membership in the hotel chain's loyalty program. With Priceline, one of the biggest risks is bidding too high. Reports show that hotels sometimes accept really low prices. Overall, as far as we can tell, Hotwire and Priceline consistently offer the lowest buy-in-advance hotel rates. But last-minute booking systems, usually available as smartphone apps rather than websites (including Hotwire's and Priceline's own apps), sometimes offer better deals than opaque systems. Unless you decide to travel just a day or two in advance, waiting for a good last-minute rate risks missing an even better opaque rate. Before you make a bid, check to see the going rates for the type of hotel in your preferred location. Hotwire and Priceline both arrange transparent bookings, too, so check for prices. But you should also check a few other online hotel search engines. As another guide, log onto Hotwire's TripStarter database, which shows a one- to two-year daily average of actual prices for 3-, 3.5-, and 4-star hotels booked through Hotwire's transparent system in dozens of major U.S. and international cities. These data show surprising consistency year to year, reflecting seasonal pricing patterns at many destinations. Several online sources post opaque-buying results submitted by actual travelers: BetterBidding.com and HotelDealsRevealed.com cover both Hotwire and Priceline deals; The Bidding Traveler and BiddingforTravel.com cover only Priceline. 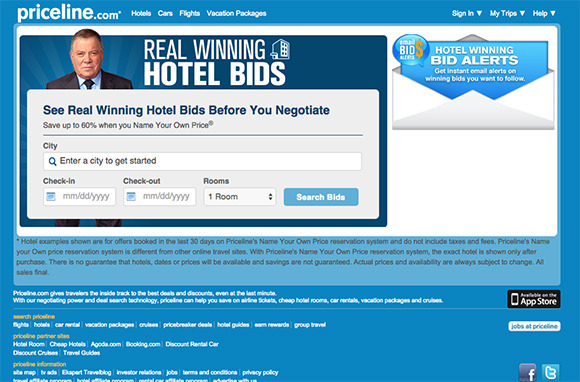 These sites show the name of the hotel and dates of booking and, for Priceline, both "winning" and "losing" bids. Keep in mind that rates can change dramatically depending on the season and whether some big event is happening in your destination. 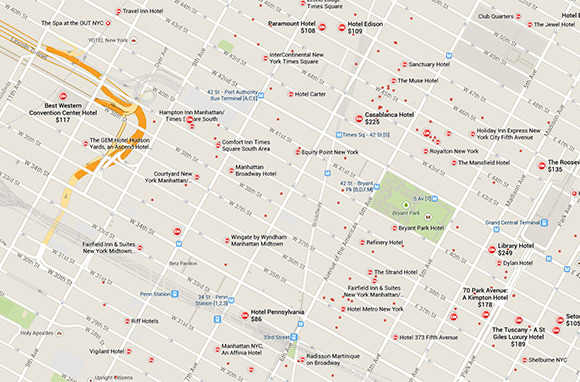 Sometimes, by comparing hotel locations, star ratings, and (on Hotwire) key amenities, you can identify a supposedly hidden hotel. But you probably won't be successful most of the time. Even if you intend to bid on Priceline, determine what you would do if you were to use only Hotwire. That price, for your preferred location and star level, is either what you'll accept or a benchmark for a future bid on Priceline. Start bidding on the low side—maybe around half of the transparent rate you've seen posted for a comparable hotel. Or bid at 10 to 20 percent below your preferred Hotwire price, based on the urban legend that Priceline's prices are up to 20 percent lower than Hotwire's prices. Or base your bid on records of recent successful sales. Don't be distracted by Priceline's automated response that your bid is likely to fail. If Priceline rejects your first bid, its system does not permit you to rebid immediately at a higher price level if you use your original bidding parameters (location and star rating). But you can submit instant rebids if you change any of the parameters, even slightly, and you can also rebid with the original parameters after waiting a few days. If you're worried about losing your payment because of an unexpected need to change your trip later, you can partially offset the risk by buying cancellation insurance, which both Hotwire and Priceline offer. That insurance, however, is pretty restrictive about the "covered reasons" for canceling a trip and typically doesn't cover work-related causes at all. But if you plan on buying insurance, factor the extra cost into your bidding/buying strategy. Unless you decide to wait for a huge last-minute reduction, either buy the best Hotwire deal or bid an even lower price on Priceline; it's your call. Once accepted, figure you got a good deal, and don't have a nervous breakdown obsessing about whether you might have scored a slightly lower price some other way.